IJOY Diamond Tank is a newly released subohm atomizer with huge clouds and large airflow, it comes with wide 810 resin mouthpiece, the flavor can nearly be same as some RDA tanks. The stylish diamond design, variety of processes, fast screw-cap filling system all make this tank attractive to the market. IJOY Diamond Tank is a newly released subohm atomizer with huge clouds and large airflow, it comes with wide 810 resin mouthpiece, the flavor can nearly be same as some RDA tanks. 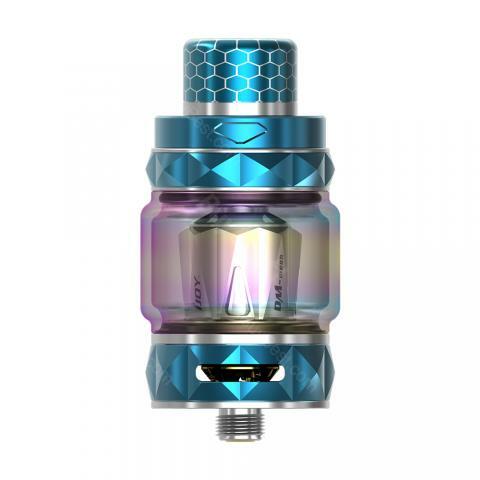 The stylish diamond design, variety of processes, 5.5ml large capacity, fast screw-cap filling system all make this tank attractive to the market. The DM- MESH mesh coil and Nutritional fiber cotton adopted will bring you Soft and delicate taste and high durability! • Quick Link: Replacement Coil. IJOY Diamond Subohm Tank is a 5.5ml capacity tank with a stunning appearance and a stylish diamond design. The IJOY Diamond Tank features a 5.5ml/4ml juice capacity, providing ample space for liquid storage. What a wonderful item, compact size, do me a great favor when i need to charge my phone with Li-ion battery from my torch, or otherwise.